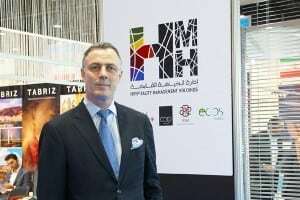 Halal tourism market holds enormous potential for hotel investors and developers, according to Laurent A Voivenel, CEO of Hospitality Management Holdings (HMH). Speaking to a group of journalists at the World Halal Travel Summit & Exhibition (WHTS15) in Abu Dhabi today (October 19), Voivenel said: “Given the business opportunity and demand, Halal-friendly hotels will continue to claim bigger market share globally. By 2030, Muslims will make up more than a quarter of the global population rising from 1.6 billion in 2010 to 2.2 billion and 30 per cent of this population will seek Halal options”. As a travel segment, Halal Tourism equals roughly 10 per cent of the entire travel economy and last year was calculated to be worth $145 billion representing over 108 million Muslim travellers. The segment is forecast to continue to grow to an amazing 150 million visitors by 2020 and will be worth over $200 billion globally. “At HMH we have taken a ‘Halal-friendly’ and not ‘Halal-only’ approach. Our strategy has been to position ourselves as a perfect choice for both regional and international corporate and leisure travellers including families and single female guests seeking safe and healthy environment. Let’s not forget, not everybody is seeking ‘Halal Hotels’. The world is shrinking with greater connectivity as well as low cost carriers opening new markets bringing in more diverse mix of travellers. Therefore, the way forward is not ‘Halal-Only’ rather it is ‘Halal-Friendly’ and that is what we are all about,” Voivenel said.